Hello and welcome to my comprehensive Amazon Fire TV Review. In recent years, a new trend has appeared in the way in which people consume their favourite TV shows and films. This trend revolves around people trying out new services and methods in order to find the best way of viewing their preferred content. One of the leading innovations in this particular area is that of streaming. This option has become more and more popular in recent times and is now widely considered as the favoured option of many people. The reason for this popularity lies in the fact that there are a variety of streaming services to choose from; they are usually quite affordable; they are very user friendly; and the actual service supplied is top grade. As well Amazon Prime Members get unlimited access to thousands of movies and TV Episodes plus ad-free listening to millions of songs with Prime Music, with the Fire Stick or Fire Cube. Now, due the rise of streaming, it is no surprise that the leading digital companies and brands started to get involved and create their own services. One such example is Amazon. Amazon is a worldwide wholesaler that has established a rock-solid brand name. People tend to trust Amazon and their products, a trust has been earned by supplying countless high level products and services as well as providing an unrivalled customer support. Amazon’s entry into the world of streaming came in the form of Fire TV – a service that is now regarded as being one of the best options available. In this review, I will discuss this service in depth by revealing the key details; highlighting the pros and cons; examining the different options; and then concluding by giving my overall thoughts. So, enough of the preamble, let’s get stuck into what Amazon has to offer. What is Amazon Fire TV? As mentioned in my introduction, Fire TV is Amazon’s take on a streaming service. This product is a monthly subscription service and it can be included in your Amazon Prime monthly charge. You can also avail of this service without signing up for Prime. In terms of what it is and what it does, essentially it is a device that is connected to your Smart TV from which you can avail of varying streaming platforms. Below I have broken up into sections all that you need to know about this service. The standard Fire TV device comes in the form of a compact, black box measuring 65 x 65 x 15 mm, meaning it is a lightweight and discrete piece of equipment. An equally small and slick looking black controller is also supplied. This remote allows you to easily scroll through content; change settings; and type queries into the search box. In addition, you can download a free app onto your phone or use the Alex voice command to also control your Fire TV. The Fire TV box plugs directly into your Smart TV via the HDMI port and once you connect to the internet you will not have to interact with the box again unless moving it to another television. This device comes with a power pack that you will need to plug into a wall socket. It is also an easy process of connecting your new Fire TV device to the internet, whether it be to Wi-Fi or a wired connection. This device will then automatically reconnect to the internet source when activated via the remote. The real winning element of Amazon Fire TV lies in the plethora of services that are available. It is here that many believe this service holds the edge of the other top streaming options. Included in your subscription is access to popular streaming platforms such as Netflix, YouTube, NBC, Showtime, and Hulu to give just a few of the more popular examples. Amazon themselves also produce original TV shows and movies that are available on Fire TV. There is also additional storage for you to be able to download additional apps from the app store. The latest adaption of the Fire TV service also allows you to access 4K and HDR (High Dynamic Range) content as well as content that features Dolby Amos soundtracks. While these formats are still very much at the infancy stage, it is widely believed that more and more content will be produced using these technologies. As mentioned before, this Amazon device can also be operated via voice command with this use of Alexa. This is a massive improvement on previous models as it greatly speeds up your ability to search for exact TV titles or other content. The really impressive part of this voice command is the speed in which you can cycle through different platforms. For example, it would only take a second or two for Alexa to switch from YouTube to CNN at your command. This comes from the power that lies in this device as it possesses a 1.5Ghz quad-core processor along with 8Gbs of on-board storage and 2GBs of memory. Amazon Fire TV Model Options? In order to fully examine the Fire TV, I felt it prudent to also take a look at some other popular streaming devices that can be purchased instead of, or in addition to, the standard box. They are the following choices below. The Amazon Fire is a media streaming device. 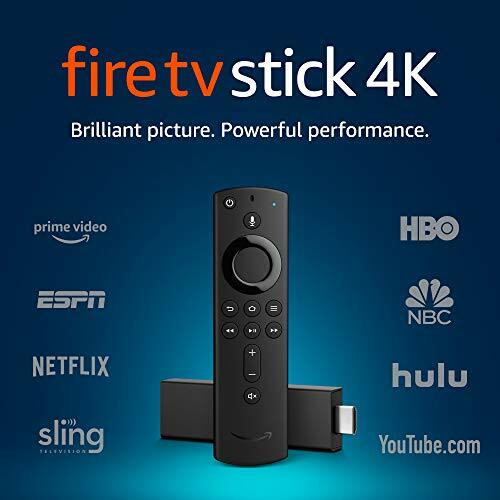 The Firestick is a slimline option created by Amazon and while is a quality device in its own right, it is somewhat limited when compared to the flagship Fire TV. It is still worth a look at so below is a short Fire Stick review. Design– the Firestick is as long as a standard mobile phone and only a third or so as wide. This makes it perfect to take with you if you are going away on holidays as it easily stored away in a carrier bag or even a purse. The exact measurements are 85.9 x 30 x 12.6 mm. OS– this device has an 802.11ac Wi-Fi chip and 1.7GHz quad-core processor incorporated into it which makes it a powerful streaming device. Installation– it is very simple to set up as you simply have to just plug it into the HDMI port of your TV as well as a wall socket. Amazon also supply a HDMI adapter to accommodate a male-to-female HDMI ports. Power – you can power this device one of two ways. Either you can plug the Fire Stick into a standard plug socket, or you can use the micro USB port located on the side of the device. This means that you can use the USB port on your TV (most new TVs possess this function) to directly power the Fire TV Stick. 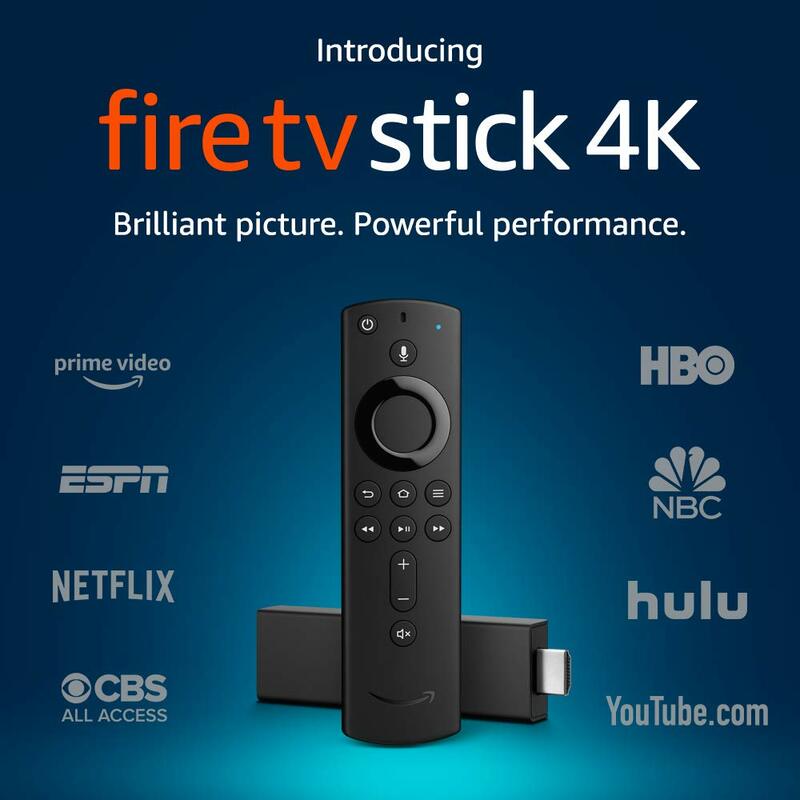 Performance– the Fire Stick performs exceptionally well. It provides a whole host of different streaming services, all of which are very easy to access in a quick manner. The loading time is also very good provided that your internet connection is strong, as is the same with any streaming device. Voice Command– Alexa Voice Remote is also included in the Fire TV Stick though its functioning is not as complete as the version supplied with Fire TV. While it will work fine with Amazon created apps, there are sometimes issue with non-Amazon apps that might require you to search via typing in the query rather than using voice command. Design– as I am sure you have guessed, this product comes in a modern looking cube shape. A blue LED light glows on the edge of the device when it is activated. It is small enough to be discrete, helped by the black plastic material that it is made from. Installation– as with all the Fire TV products, the Cube is straightforward to install and simply needs a TV with a HDMI port and a nearby wall socket. Then it is just a case of connecting the Cube to the available internet source. OS– this device runs on a Quad Core ARM Cortex-A53 1.5GHz CPU, Mali-450 MP3 GPU, and Amlogic S905Z SoC. This high-powered operating trifecta results in very speedy load time and superior graphics. The former of these benefits means that you can switch in between content services and apps in mere seconds. Performance– the Fire TV Cube is somewhat of test product with the ultimate aim of providing a hands-free streaming service. 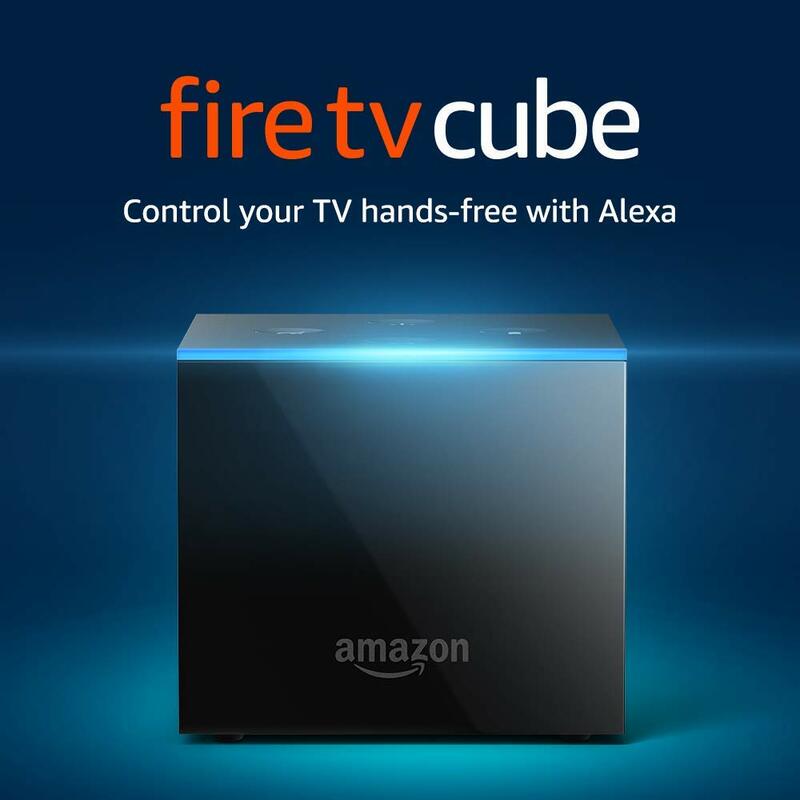 Amazon’s goal with the Cube is to combine the always improving Alex voice command capability with the strengths of Fire TV. The key selling point of this product is that you would have ability to use the voice command without a remote. Voice Command– as mentioned above, the key to this product naturally lies in the Alexa voice remote and it is here where the product actually comes somewhat unstuck. Billed as a hand-free streaming product, the Alex service unfortunately flatters to deceive and possesses some serve limitations. These failings can be seen in problems with the playback controls as well as language issues. For example, Alex will only pick up on exact voice commands which can become irritating over time. As a result, it is necessary to use the accompanied remote control every now and again which defeats the purpose of the Cube. Services– this product is ideal if you are looking simply to use Amazon’s apps and services. However, it is not as accommodating with such apps like YouTube or iTunes. Content services that are indeed included feature The CW; NFL Network; AMC; Netflix; Starz; Hulu; PlayStation Vue; Crackle; and many more. The Cube does provide the ability for 4K HDR playback, but this is somewhat countered by the fact that it cannot support Dolby Vision. Dolby Atmos is compatible though. When it comes to the 4k HDR playback, it is important to note that you would need a 4K HDR TV in order to avail of this option. 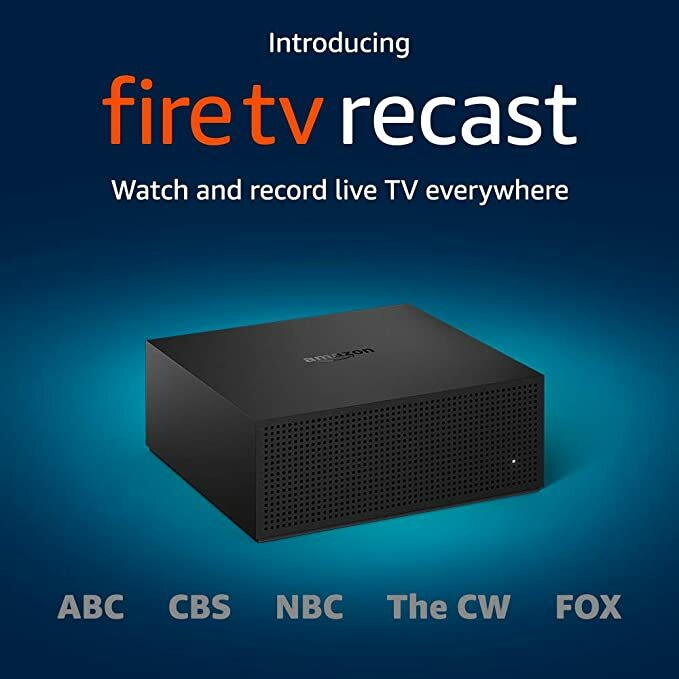 The Amazon Recast is an over the air DVR device. Design– this Amazon product is different to the other devices that I have mentioned so far as it is larger and bulkier its physical form. It is not a particularly sleek piece of equipment and most likely will be noticeable. This is in contrast to the Fire Stick and the Fire Cube which can be easily hidden from view due to their size. Installation– straightforward as it simply involves plugging the Recast device into your TV and the wall socket. It is also very easy to sync up to a streaming device if you wish to do so. The key element of the installation lies in where you are placing the antenna. Placing the Recast device in a receptible location will have a direct impact on how many channels the antenna picks up. OS– in order to supplement the ability to record content, this product contains either a 500GB or 1TB hard drive. The 1TB model is obviously more expensive so it is a good idea to gauge how much content you might want to store over a period of time. Amazon have guesstimated that the 500GB storage would account for 75 hours of content, while the 1TB hard drive would store 150 hours. Performance– it is important to mention in this part of my Fire TV Recast review that this particular device is not a streaming service, like the products I outlined previously. Instead, the Recast is a device that allows you to watch live TV and to record this TV via a DVR. It achieves this by the connected antenna which works to locate OTA (over-the-air) channels. Streaming Capability– though the Recast is not a streaming device in principle, it is designed to work in conjunction with an Fire TV streaming device. Though, in saying this, you will only be able to stream on two devices from your Recast at any one time. Amazon state that this limitation is present so as to ensure that you get the maximum signal quality. Voice Command– Alexa skills are a feature of the Recast which is quite handy as it allows you to schedule the shows that you would like to be recorded on the DVR. Services– the main selling point of this device is the ability to watch your favourite TV shows and channels from any source. Such channels include NBC, Fox, PBS, ABC, and CBS to name just a few. This is a question that often crops up when Amazon streaming is mentioned – which is better, Fire TV or the Fire Stick? Below I have compared and contrasted these two options so as to supply an overall verdict on the cost effectiveness of both devices. Device– the Fire TV device is larger and bulkier in design when compared to the Fire Stick. This makes the latter more favourable in terms of being portable. Installation– both are very simple to install with regards to connecting to the internet. The Fire Stick is more accommodating in terms of how it is powered as it can be plugged into a wall socket or into a USB port located on a TV. The Fire TV device does not possess this second option. Services– a key difference between these two options can be seen in the HDR, 4K, and Dolby Amos compatibility. Fire TV does offer these options while the Fire Stick does not. This the major element that separates these two streaming devices. Alexa Voice Command– it is also worth noting that the Alexa feature is far more complete and user friendly on the Fire TV device than the Fire Stick. While both options are very good in terms of loading speed and the ability to cycle through different content services, the Fire Stick does have limiting factors which at time will result in you having instead to manually search for content. Cost Effectiveness– ultimately, this is the element that matters most; do these products supply a quality service for an affordable price? And if so, which one is the better option? When it comes the actual cost, the Fire TV option is more expensive, coming in at $99/year or $8.25/month. In contrast, the Fire Stick will only set you back a one-time fee of $24.99 - $39.99. So why the difference? The difference lies in the fact that Fire TV is a far more powerful and complete streaming option, as can be seen in its superior voice command function and its ability to provide HDR, 4K, and Dolby Amos content. While the amount of content available in these formats is still relatively small, this number is growing a steady rate. My Verdict– both options are top quality streaming services that supply tonnes of content options and slick features. I feel that this makes both choices well worth the fees that are attached to them. With regards to choosing one, it really does come down to personal preference. Therefore, take some time to pinpoint exactly what it is you want from a streaming service and go from there. That brings to an end my Fire TV review. I hope that you have found it informative and insightful. As you can see, Amazon are dedicated to providing the best streaming service and options that they possibly can. Due to this mission statement, they are constantly trying to refine the technology and features that make up their devices – a microcosm of this can be seen in the Alexa voice command option which is the pivotal aspect of Amazon’s streaming plans. Fire TV and the other options that I have outlined are all high-quality streaming devices that are easy to set up and use; are compact and modern in design; incorporate the latest technology breakthroughs; and present a wealth of content. Furthermore, all of this is provided at very affordable prices. All in all, Fire TV represents Amazon’s best attempt to date to provide a streaming service that centers voice command at its core functioning. While there are still improvements to be made, this product is truly a quality option that has rightfully been declared as the leading contender in the ever-growing niche of streaming services. All the best with the service that you choose to go with!